Everybody seems to take it for granted that the world is getting more secular-that faith is doomed by modernity. Scientists, secularists, and atheists applaud the change; religious believers lament it. But here's the thing: they're all wrong, and acclaimed author Rodney Stark has the numbers to prove it. 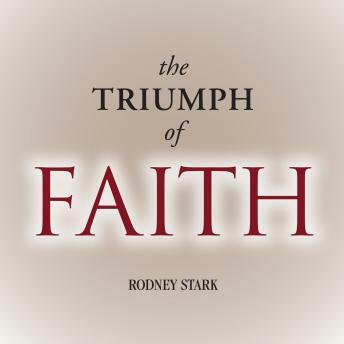 The Triumph of Faith explodes the myth that people around the world are abandoning religion. In this lively, eye-opening book, Stark marshals an unprecedented body of data-surveys of more than a million people in 163 nations-to paint the full picture that both scholars and popular commentators have missed. He examines why this astonishing growth of religion is happening and what it means for our future.